1. 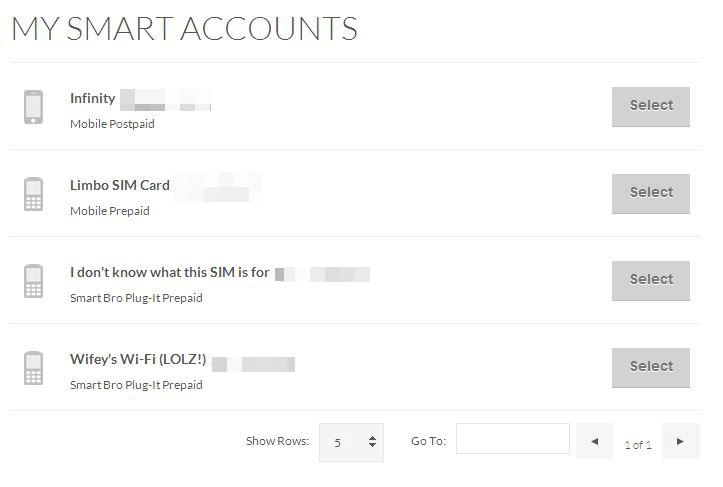 Upon inserting the SIM card and turning on the pocket LTE device, you’re taken to a brand new splash screen — the SmartBro Dashboard which serves as a placeholder for brand new accounts and for times when you’ve reached zero balance on prepaid. Your mobile number is displayed prominently on the upper left hand side of the dashboard which makes it super convenient in case you need to reload credits and you misplaced the number somewhere. The dashboard also enables a service called Load Protect, which defaults you to the P5.00 for 15 minutes of browsing when you’re not subscribed to a plan. 2. The MY.SMART.COM.PH portal has been revamped. It was down last week and for those who make use of this site regularly, you will now find that all the services for SmartBro prepaid has been moved to the dashboard. So in a way it is more intuitive since you don’t need to launch the website anymore and log into your account. 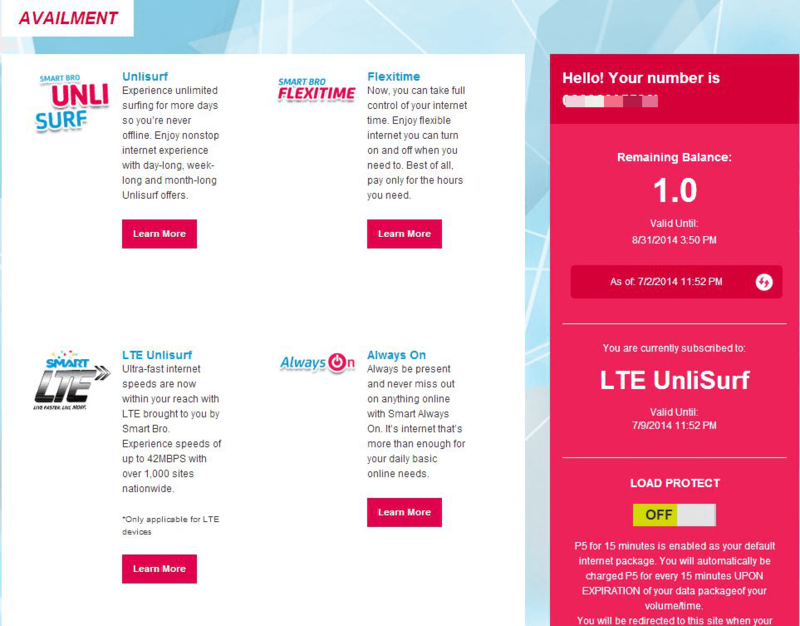 Above: The my.smart.com.ph portal only displays information on all the accounts (prepaid and postpaid) that you handle. 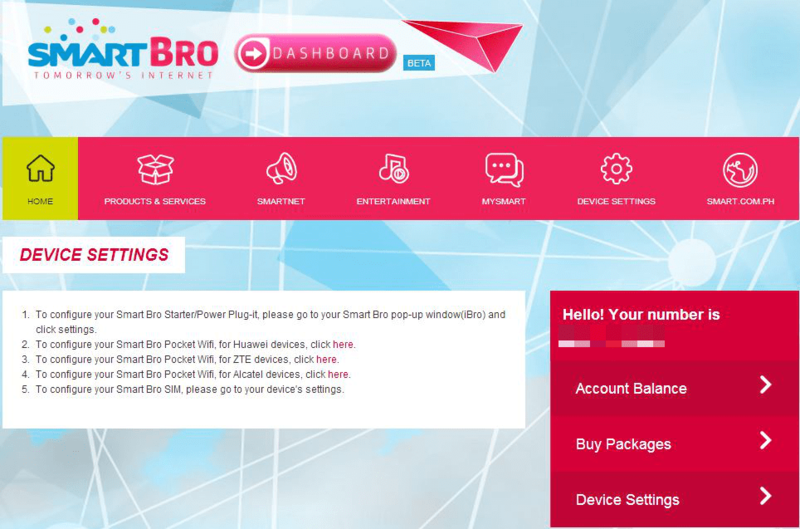 For prepaid, you will only be able to subscribe to new services using the SmartBro dashboard. 1. The new #SmartBroDashboard pops up on your browser when you have no balance or when you have a new SmartBro account. 2. This service is available for both prepaid and postpaid plans, but the latter has not been implemented. 3. You can subscribe to all your bucket plans from the Dashboard and monitor your usage. You no longer need to do this from the my.smart.com.ph portal.